Don't miss out. There's only 1 available and 2 other people have this in their cart right now. Don't miss out. There's only 1 available, and 2 other people have this in their cart right now. 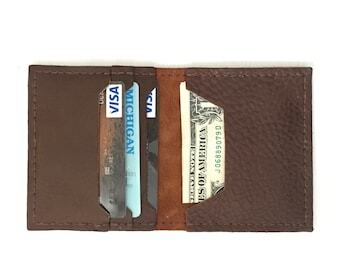 The popular leather trifold mens wallet comes with 5 card slots and a full size bill holder. This wallet is ready for you to fill up and break in! Finished product measures 3" x 4" (76 x 102 mm) when closed.Measures 4.5" x 3.5" when folded. Loved this more than we thought! 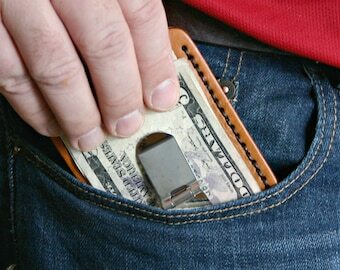 Black Magnetic Money Clip. 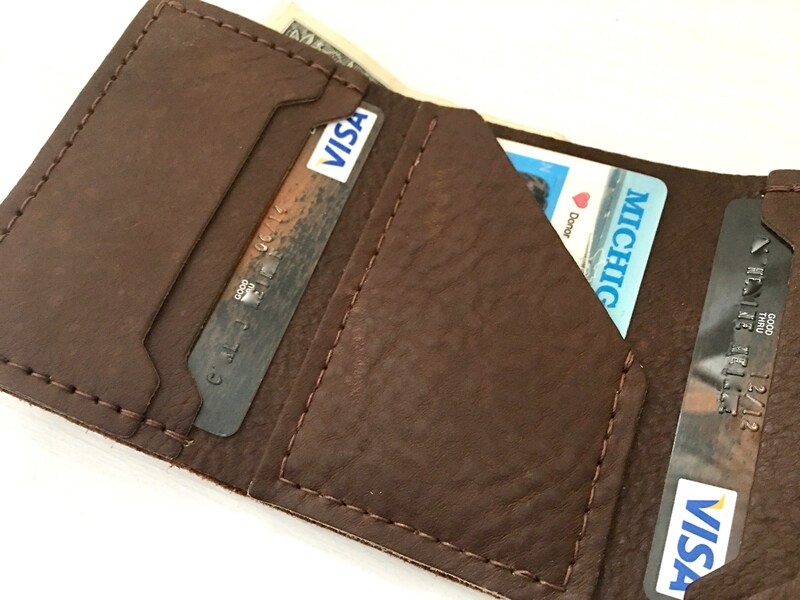 Personalized Mens leather money clip with custom initials. Groomsmen Gift. Tell me your personalization details in the "optional note to seller" box on the shopping cart page. Production time is normally 3-5 business days (one week). Production time can be longer during peak seasons such as Father's Day and Christmas.